Ten years ago, Ian Caldwell and Dustin Thomason's The Rule Of Four became a literary phenomenon. Now, after a decade of research, Caldwell returns with a masterful new thriller. In 2004, the curator of an exhibit at the Vatican Museums is murdered. Launching his own investigation, his research partner, Greek Catholic priest Father Alex Andreou, begins to see what the curator saw: a link between the Gospels (including a fifth gospel known as the Diatessaron) and a controversial holy relic. Ian Caldwell’s The fifth gospel was well-reviewed by Publishers Weekly, which notes, “Caldwell follows 2004’s The Rule of Four (cowritten with Dustin Thomason) with another superior religious thriller, notable for its existential and spiritual profundity. An intelligent and deeply contemplative writing style, along with more than a few bombshell plot twists, set this one above the pack, but it’s the insightful character development that makes this redemptive story so moving.” Join the best-selling author at MG to discuss the exciting convergence of faith and conspiracy and secrecy. In Ian Caldwell's masterful follow-up to his international sensation The Rule of Four, a lost gospel, a contentious relic, and a dying pope's final wish converge to send two brothers -- both Vatican priests -- on an intellectual quest to untangle Christianity's greatest historical mystery. In 2004, as Pope John Paul II's reign enters its twilight, a mysterious exhibit is under construction at the Vatican Museums. A week before it is scheduled to open, its curator is murdered at a clandestine meeting on the outskirts of Rome. The same night, a violent break-in rocks the home of the curator's research partner, Father Alex Andreou, a Greek Catholic priest who lives inside the Vatican with his five-year-old son. When the papal police fail to identify a suspect in either crime, Father Alex, desperate to keep his family safe, undertakes his own investigation. To find the killer he must reconstruct the dead curator's secret: what the four Christian gospels -- and a little-known, true-to-life fifth gospel known as the Diatessaron -- reveal about the Church's most controversial holy relic. But just as he begins to understand the truth about his friend's death and its consequences for the future of the world's two largest Christian Churches, Father Alex finds himself hunted down by someone with vested stakes in the exhibit -- someone he must outwit to survive. At once a riveting literary thriller, a feast of biblical history and scholarship, and a moving family drama, The fifth gospel is a novel about the depths of sacrifice and the power of forgiveness. Rich, authentic, erudite, and emotionally searing, it satisfies on every level. Ian Caldwell is the coauthor of The Rule of Four, which spent forty-nine weeks on the New York Times bestseller list, sold nearly 2 million copies in North America, and was translated into thirty-five languages. He lives in Virginia with his wife and children. 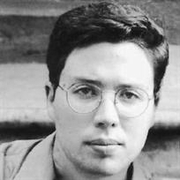 Dustin Thomason's first novel, The Rule Of Four, co-written with Ian Caldwell, was a New York Times bestseller, and remained on the list for more than six months. In 12.21, Dustin puts his medical background to use in crafting a story around the doomsday mindset of the public. It's a good thing, too--because Dustin will the first to tell you, his mother is still hoping he will use his degrees to get a day job. Harvard University Hoop Prize winner and bestselling author Dustin Thomason began his career studying anthropology at Harvard University. He received his MD and his MBA from Columbia University, and began writing after graduation. His first novel, The Rule Of Four, co-written with Ian Caldwell, was a New York Times bestseller, and remained on the list for more than six months. In 12.21, Thomas puts his medical background to use in crafting a story around the doomsday mindset of the public. Ian Caldwell is currently considered a "single author." If one or more works are by a distinct, homonymous authors, go ahead and split the author. Ian Caldwell is composed of 3 names. You can examine and separate out names.